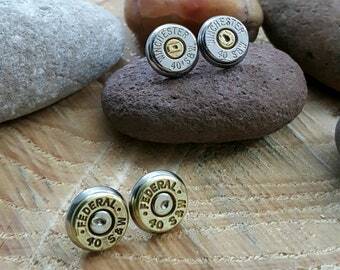 Bullet Jewelry - Bullet Earrings - Dreamcatcher Style - Feather Charm Bullet Earrings - Original Bullet Dreamcatchers - BEST SELLER! 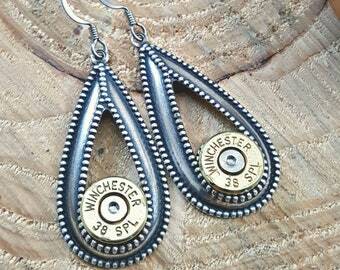 Bullet Jewelry - Bullet Earrings - Nickel Bullets with Black Onyx Beadwork Dangle Earrings - Will Go With Anything! - BEST SELLER! 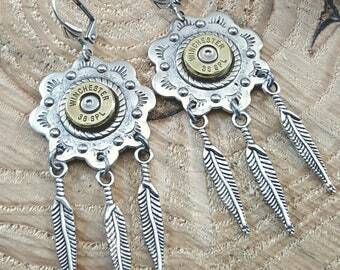 Bullet Jewelry - Bullet Necklace - Winged Heart Necklace - "Love to See the Bullets Fly" Bullet Necklace - BEST SELLER! 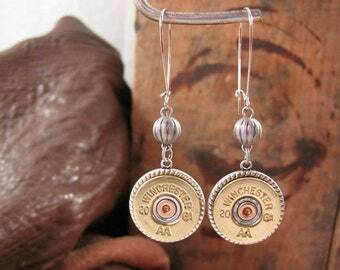 Bullet Jewelry - Bullet Earrings - The Original Dreamcatcher Bullet Earrings from SureShot Jewelry - BEST SELLER! 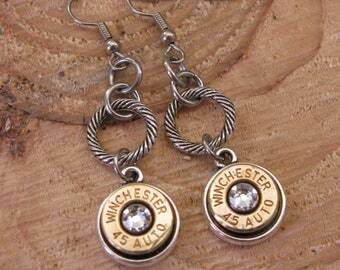 Brass 9mm bullet casings mounted in beaded bezel cups for added character around the bullet casings and secured in the center of hand etched detailed round concho style pendants. 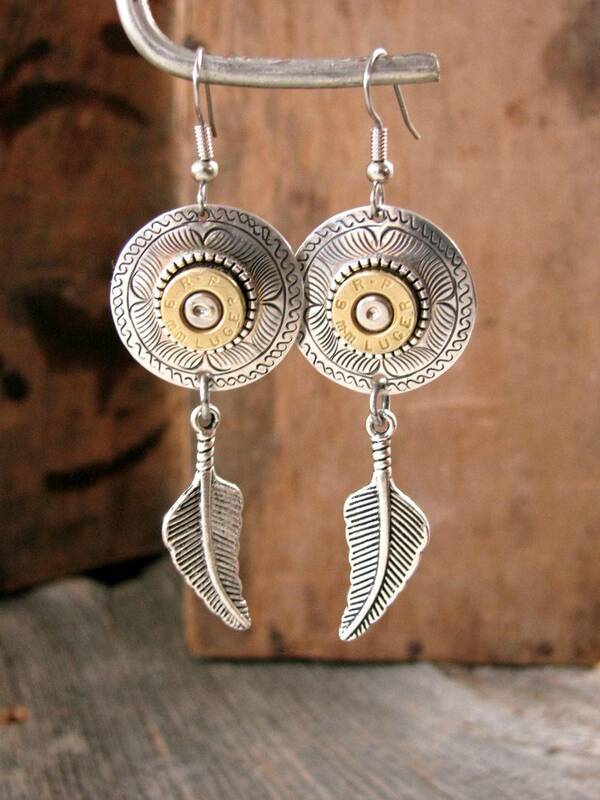 Resulting look has a great southwest vibe. 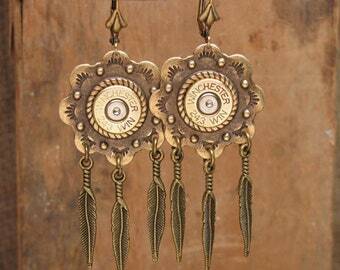 Detailed feather charms are suspended from each pendant to carry out the theme. Hung from stainless steel french wires. Lightweight!